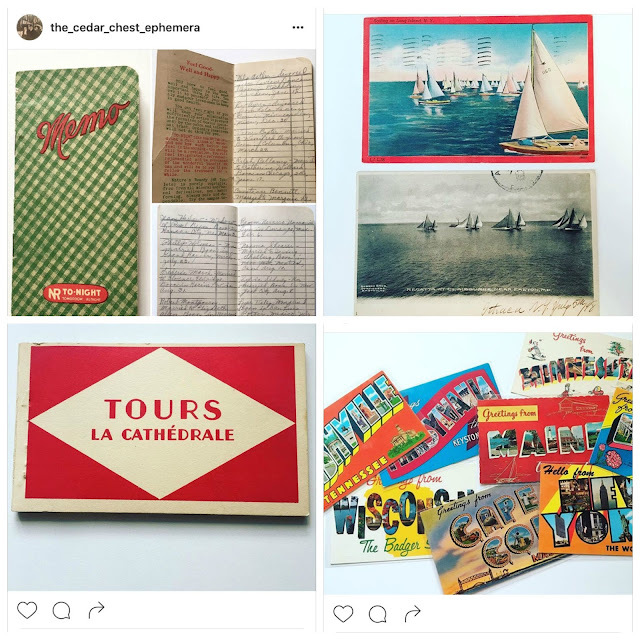 The Cedar Chest - antique postcards, vintage photographs, forgotten ephemera: The Cedar Chest Blog Lives! Now on Instagram, too. The Cedar Chest Blog Lives! Now on Instagram, too. I have neglected this blog for too long. I could blame it on moving, but that was just part of it. But, the good news is that I am now in a new home with a cleaner office and I am now going to (I swear) finally organize my large ephemera collection, which will include, of course, adding more beauties to the shop. I also started an Instagram account for The Cedar Chest. You can follow me on there are see pretty things almost daily. Here is a little sneak peek of what I have posted so far on Instagram. I hope to see you there!